MPT offers one to one services to enable individuals to maximise on their performance. This is typically conducted in one of two distinct ways. Not to be confused with mentoring, coaching works on the agenda of the individual not the coach and involves enquiry and investigative discussion as opposed to sharing best practise and knowledge. Coaching is an excellent option for anyone who already has a level of skill and experience, but would benefit from the opportunity to share views, opinions, talking through specific situations or just off-load from time to time. Coaching is available to anyone at any level in any organisation from front line personnel requiring help with grounding their confidence, through to group CEO’s who need a trusted external source to share issues with. Coaching is confidential and non-judgemental and is used by a variety of people on both a personal and professional basis. All employees, managers and business leaders are people and everyone needs an opportunity to share, reflect and focus on better ways to perform in all aspects of their lives. Mentoring involves more experienced individuals sharing knowledge, wisdom, experience and skills with less experienced individuals with a view to enhancing and accelerating their learning and successful implementation. MPT has a team of professional mentors able to assist in General Business, HR, Management, Leadership and some specific skill areas such as Sales, Customer Service and Presentations. 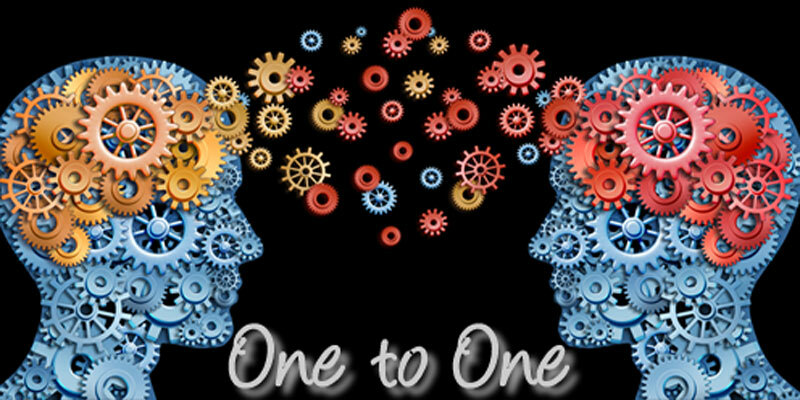 One to One services are offered via one off interventions, or a series of session typically lasting between 2-4 hours and are charged at a rate for 2 hours or half a day, but our team never clock watch. All One to One provision is accompanied by FREE and unlimited phone coaching. Please contact us for more information so we can assess your specific requirements and propose a suitable solution.